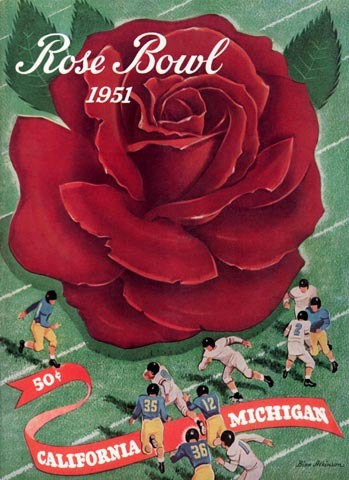 By edging Ohio State in the famous "Blizzard Bowl," the Wolverines earned the right to play unbeaten and 4th ranked California in Pasadena. And after fighting off the Buckeyes and a wind chill factor of what seemed like -100, playing one of those soft West Coast teams in balmy 70 degree sunshine seemed like little more than a day at the beach. This was the third straight year that a previously unbeaten Golden Bears team had suffered such abject humiliation, and it was beginning to wear on them.